The first big announcement of Sled Island 2019 is here. We are beyond excited to reveal that acclaimed indie singer-songwriter Julien Baker will be joining us as guest curator for this year’s festival! Each year, Sled Island’s guest curator puts their stamp on the festival through special programming choices and with their presence at the event. Julien Baker’s curatorial selections, to be announced in the coming months, will join over 250 additional bands, comedy acts, films and visual art projects chosen by the festival in more than 30 venues across Calgary from June 19 - 23, 2019. 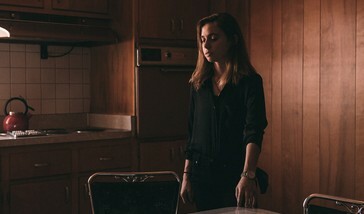 In addition, Julien Baker will perform at The Palace Theatre (219 8th Ave. SW) on Saturday, June 22, 2019. Sled Island passes grant access (subject to capacity) and are currently on sale at SledIsland.com, Sloth Records (736B 17th Ave. SW) and Lukes Drug Mart (112 4th St. NE). Single tickets will be available in spring 2019. A friendly reminder that today is your last chance to save 25% on Sled Island 2019 Discovery and Discovery Plus Passes! Semi-early bird pricing begins tomorrow and will last until February 12, 2019. Julien Baker is an astoundingly powerful voice in modern music, and it’s that voice that immediately draws one into her sparse, devastating and emotionally cathartic ballads. With songs that tackle delicate issues such as trauma, mental illness, and substance abuse, Baker doesn't just count her battle scars, but ultimately champions their inherent strengths. With two highly acclaimed solo albums, as well as her recently established collaboration boygenius (featuring Baker alongside Phoebe Bridgers and Lucy Dacus), she continues to evolve as an artist, showing absolutely no sign of slowing down. At only 23, Baker may be Sled Island’s youngest guest curator to date, but she already sounds like a seasoned professional. Her voice is singular, hauntingly powerful and crystal clear. With her highly relatable storytelling, creatively ambient guitar work and perfect poetic choices tucked into every line sung, she has developed an earned reputation for captivating audiences across the world. Although it could be easy to describe Julien’s repertoire simply as “sad songs,’’ it is so much more than that. You will hear heartache, of course, but you will also hear hope, delicacy, self-acceptance, artistry and perseverance. She's a master at reminding that without the bitter, the sweet just isn’t as sweet. For Julien’s next act, she will be curating Sled Island 2019! Whether she is hypnotizing audiences with her incredible solo sets, showing off her multi-instrumentalism in boygenius, or teaming up with industry titans such as Frightened Rabbit, or Matt Berninger of The National, Julien’s diverse musical history proves that she can travel far beyond the genre she’s best known for. It’s this, perhaps, that excites us the most; not only to see how she will continue to shape her already fantastic career, but also to see how her curatorial touch will shape Sled Island this year.